The fallout from the 2008 housing crisis appears to be over. While foreign investors stepped in to buy up cheap, distressed properties, thus driving the increase in prices and inventory deficits, even as they begin to back out of the market, more Americans are jumping back in. Demand will probably remain high, so sellers will continue to fetch top dollar. However, the experts think prices will level out some, or at least price inflation will slow down. The demographic born between 1980 and 2000 comprise the largest segment of the home-buying public. With growing families and stabilized incomes, the Millennials are now displacing the Baby Boomers as the American economic engine. Coming at a time when Boomers are downsizing their own housing, it seems the perfect balance. On the other hand, with many Millennials at the tail end of the span returning home for any number of reasons, their Boomer folks may well hang on to their larger homesteads. Another sub-trend in the works for 2017 has Boomers aging in place with their children and grandchildren sharing the home. Either larger homes are sought to house two or more adult generations, or existing houses will undergo remodeling to create more efficient accommodations. The headlines immediately following the November elections announced a tiny mortgage rate increase and suggested that the Trump victory was at fault. Less political voices in the real estate industry suggest that rates may see an increase in 2017, though not as a reaction to the election. Most believe that the new presidency may ultimately prove favorable to the real estate market. While drones can be a lot of fun for hobbyists, a new market for high-end uses opened up in real estate. 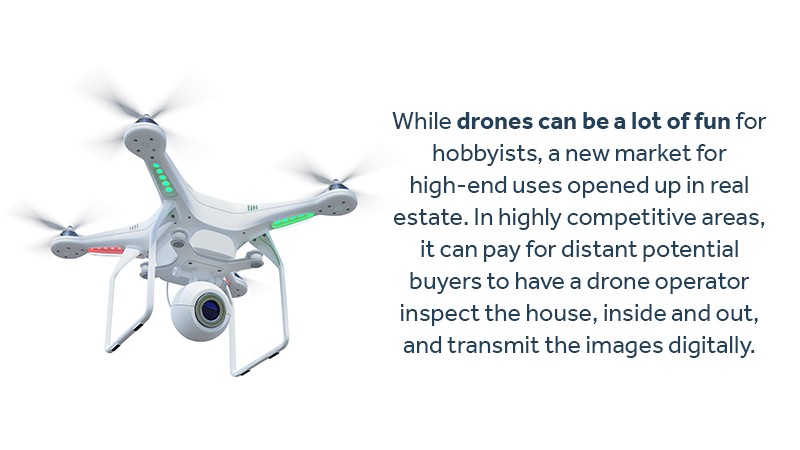 In highly competitive areas, it can pay for distant potential buyers to have a drone operator inspect the house, inside and out, and transmit the images digitally. New companies are cropping up to serve those who can&apos;t be physically present to inspect but may want to bid on the property. They&apos;re proving especially handy for roof inspections. Expect to see more remote views in 2017. 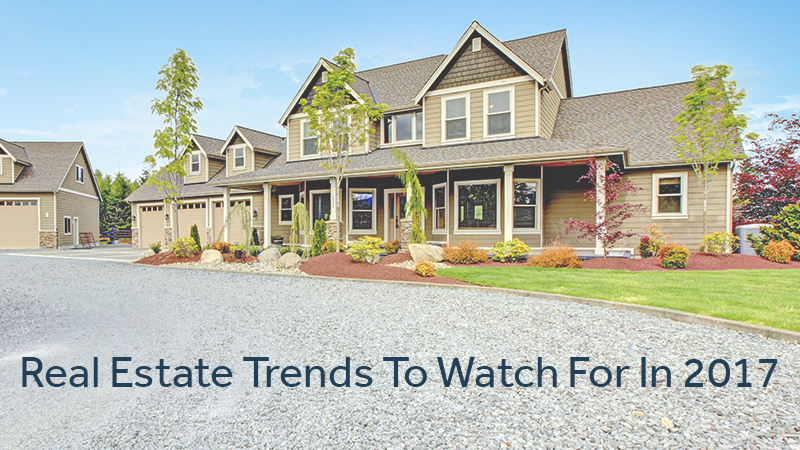 With 2017 promising a continued hot market, sellers and buyers may find themselves in temporary limbo while finalizing a transaction. If you sold your home and must vacate before your next home comes available, what do you do with all your stuff? Easy: you call Zippy Shell of Houston. With our portable storage options, we can deliver a right-sized pod for you to load. Once packed, we&apos;ll pick it up and hold it in our secure, temperature-controlled facility until your new home is ready for you. Then, we&apos;ll deliver it to your new digs for you to unload at your convenience. With our easy moving and storage services, you save money, your goods remain under lock and key, and you aren&apos;t pressed against a schedule if your situation changes. Give us a call today for a free consultation.